Architectures in Cyberspace, Structures, Design, Visions and Security Challenges. Estonian ICT Week is the single most eventful week in the center of the sizzling Nordic-Baltic ICT powerhouse, illuminating innovational ideas connecting the brightest minds. Estonian ICT Week brings together entrepreneurs, investors, IT professionals, government leaders and policy makers from all over the world. The main topics in 2015 will include e-Governance and e-Residency, Green IT, Smart Industry, Fintech and the Hardware Evolution. May 8-10 "Garage48 GreenTech Tallinn 2015"
May 12-13 "Industry 4.0 in Practice – From Vision to Implementation by ITL"
May 12-13 "Tallinn e-Governance Conference 2015 by e-Governance Academy"
May 13 "Nordic Digital Day 2015 by the Ministry of Economic Affairs and Communications"
May 13 "e-Narnia is a fairytale: The real cyber security competence resides in Estonia"
The biggest Estonian mobile event of the year - Mobile Summit Estonia 2015. 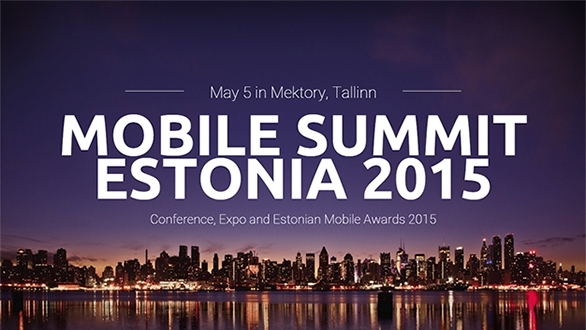 Together with top speakers in the field, Estonian Mobile Applications Expo and Estonian Mobile Awards, the event will host around 200 people from the business, marketing and IT fields – entrepreneurs, CEO-s, marketers, students and mobile enthusiasts. Join the event on Facebook or see more from the web www.mobilestonia.com Join us! Estonian Free and Open-Source Software Association together with volunteers and organizers of the "Let's Do It" Community Activity Day team invites everyone to take part in the Free Software Community Day taking place within the "Let's Do It" community activities framework. We will give a new life to many outdated computers, but there will be more - also welcome are all users of proprietary software who want to become familiar with modern Free Software. The Community Day is also a good opportunity for educational and research facilities to get acquainted to Free Software. Join us at the hackathon to level up your game developing skills with Microsoft gaming experts. You don't even have to start from scratch. During the event we'll provide you with free game art, backgrounds, and characters with our Game Starter Kit. We'll then cut you loose and help you get started on creating the next great game today.